Heathrow Airport offers more than 180 destinations through its approximately 90 airline companies. With five terminals and three runaways, it is one the most six important airports in the United Kingdom, along with Gatwick Airport, London City Airport, Luton Airport, Stansted Airport and Southend Airport. Besides its almost 65 million travelers that cross its path every year, Heathrow Airport is also accessible to business men, families that want to travel with children and to disabled people. If you have booked a hotel near Heathrow Airport and have a few hours to spear on an improvised field trip with your family, friends or business partners, there are many entertaining possibilities that you can choose from. For example, go and visit the Big Ben, the Buckingham Palace, The London Eye or Westminster Abbey. Other interesting attractions near Heathrow Airport are: Tate Modern, British Museum, Design Museum, National History Museum, Keats House, Saatchi Gallery and many more. Another favorite for passengers that want to relax and enjoy a few days or weeks on a great holiday is the Port of Southampton. 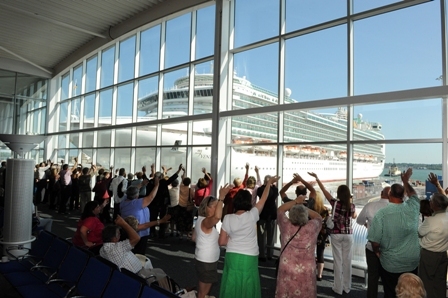 This is one of the busiest cruise terminals in the United Kingdom. One of its main advantages are its proximity to London and the access to rail and road. Southampton Port has four main terminals (Queen Elizabeth II Terminal, Mayflower Terminal, City Terminal and Ocean Terminal) and is the base of five main cruise ships: P&O Cruises, Celebrity Cruises, Cunard, Princess Cruises and Royal Caribbean. Some of the recommended activities in Southampton for the excited sea travelers are: The Brook Theater, Mayflower Theatre, Solent Sky Museum, St Michael’s Church, SeaCity Museum, Westgate and Medieval Merchant’s House. If you want to enjoy a day with your children or simply have fun with your friends, we warmly suggest Southampton Sports Centre, Southampton Golf Course, Southampton Skating, Childrens Pleasure Park and Ambush Paintball. If you need a Heathrow to Southampton Port Transfer, you have stumbled upon the right article. You can find below the three main means of transport. In order to get rail transport from London Heathrow Airport to Southampton Port, you have two options. The first would be to take the Heathrow Airport Train (that comes every 15 minutes) via Reading that arrives every 60 minutes. The total journey would take about 1 hour and 37 minutes. The second possibility is to take the Heathrow Central Bus Station line 555 (every 15 minutes) via Woking that comes every hour. The total journey would take about 2 hours and 29 minutes. A Heathrow to Southampton Port Transfer by car can be done by taking must take the M3. London Heathrow Airport is 66.8 miles away from the Port of Southampton. 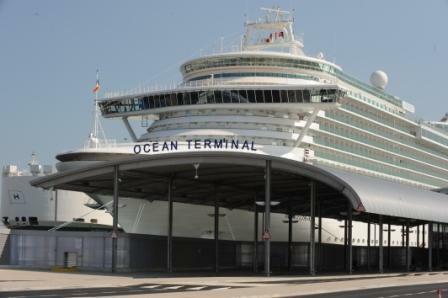 A Heathrow to Southampton Port taxi with 247 Heathrow Airport Transfer is going to last around 1 hour and 49 minutes. The price for a taxi service from Heathrow Airport to Southampton Port starts from 95 GBP. – Luton to Central London taxi Service Click Here.,.. – Heathrow to Central London station taxi Service Click here….